This term we will be looking at Health and Nutrition. We will be focusing on Teeth and The Digestive System. Check back here soon to see our marvellous work and to find out about the interesting activities we have been involved in. We worked in groups of three to draw the digestive system. We took it in turns to go and look at a picture of the digestive system and then we had to describe to our team members what to draw. We looked at the jobs of various teeth. We now know that Incisors – the sharp, chisel-shaped front teeth (four upper, four lower) are used for cutting food. Canines are teeth which are shaped like points (cusps) and are used for tearing and grasping food. The premolars are for crushing and tearing food. We used Lego bricks for Molars, scissors for Canines and tooth picks for Incisors. 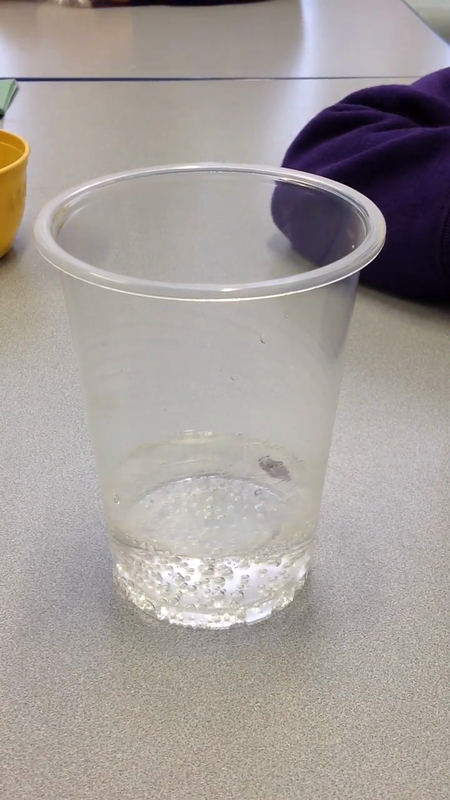 We crushed biscuits and simulated saliva with water. We looked at the various types of teeth. Incisors, Wisdom teeth, Canines, Molars and Premolars. We looked at the position of the teeth within the mouth. We then used a paper plate and made the various teeth out of different colours of plasticine. On Thursday we were really lucky to be visited by Adele a Dental Nurse. Adele showed us photographs of various teeth. We observed examples of good and bad dental hygiene. Adele demonstrated effective teeth cleaning methods. She also questioned us about a range of food and drink and whether they were good choices for our dental health. This was really interesting! For British Science Week we were involved in various STEM activities. These were either Science, Technology, Engineering or Mathematics based. In 3P children from KS2 were involved in a scientific experiment to see what would happen when various food items were placed into lemonade. We were amazed to discover the raisin sank and then rose to the surface various times!